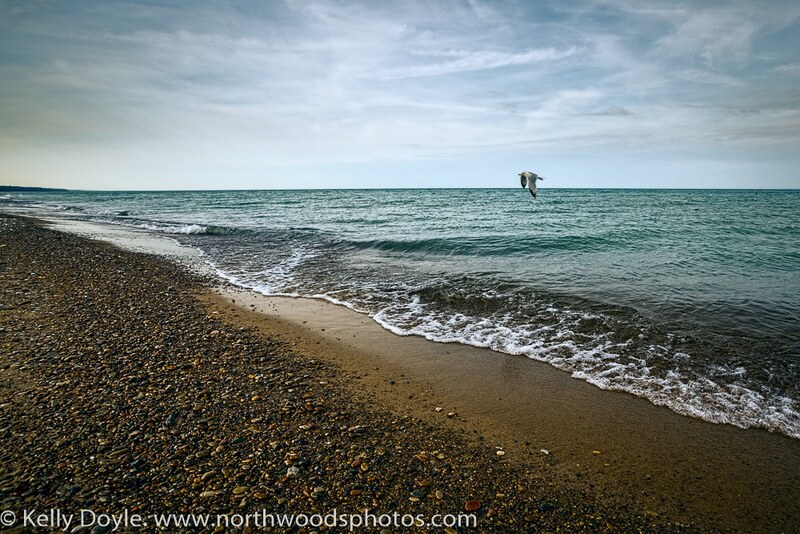 One of the cool things about the Great Lakes is that each one has it’s own personality. 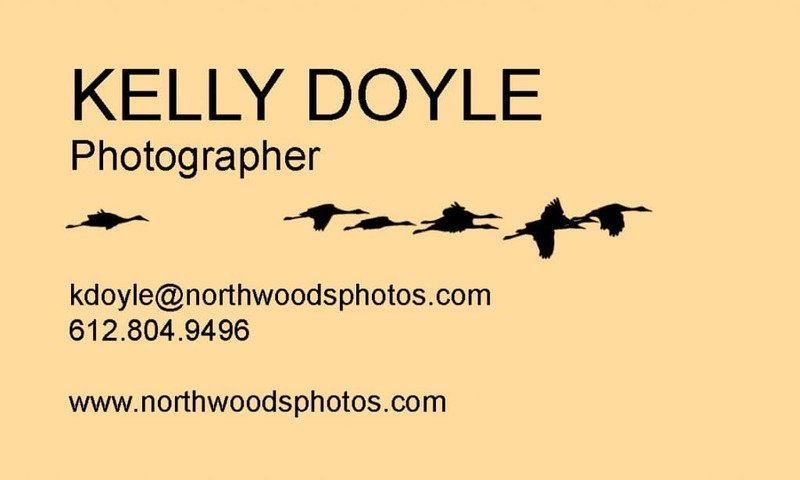 I was born and raised in Michigan and my Grandfather was a freighter captain on the Great Lakes, so I’ve had a chance to get to know them a bit. 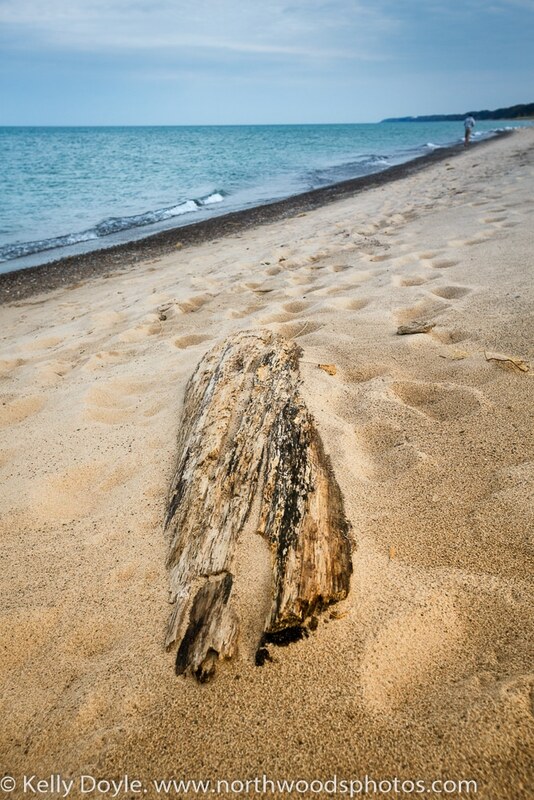 While Lake Superior with her rugged shoreline is the big lake that I visit the most these days, I just had an opportunity to stroll on one of the many long sandy beaches of Lake Michigan that line the western coast of the lower peninsula. These dunes reach more than 250 feet high – and the locals use snow plows to get the sand off the roads after a windy day. 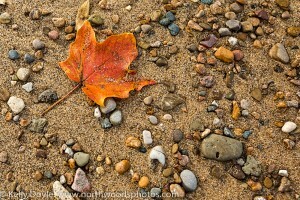 Here are a few snaps from a brief visit to Warren Dunes State Park last week near peak fall color season! Peak color season in the third week of October and I almost had the park to myself. During the summer this beach would be packed with swimmers and the hang gliders would be taking off from the 260 foot high dunes. 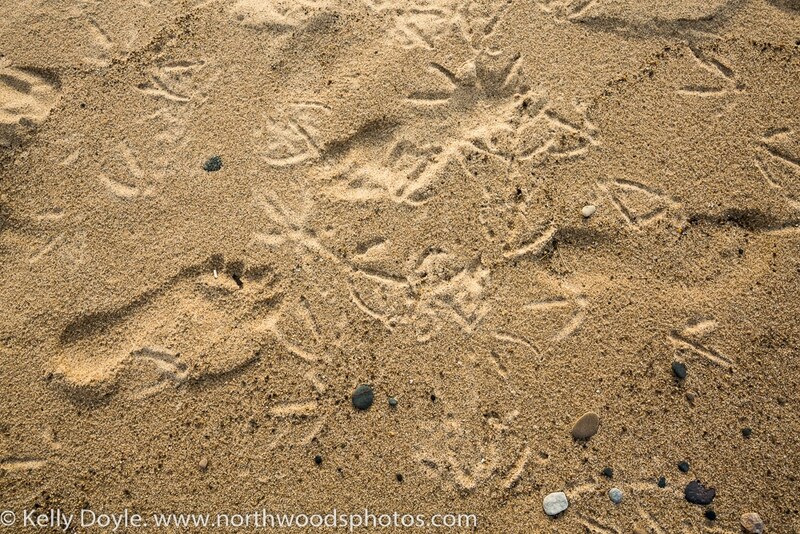 A nice stroll on a Lake Michigan beach in southwestern Lower Michigan. Maple Leaf on the beach. 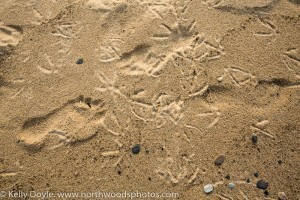 There were more sea gulls than people here today. While the beach is relaxing with the rhythmic sound of the waves coming ashore, nearby Warren Woods has short picturesque trails through the woods. 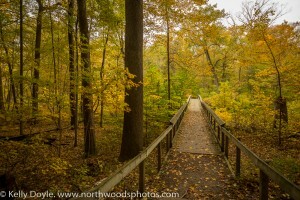 Warren Woods at peak fall color. 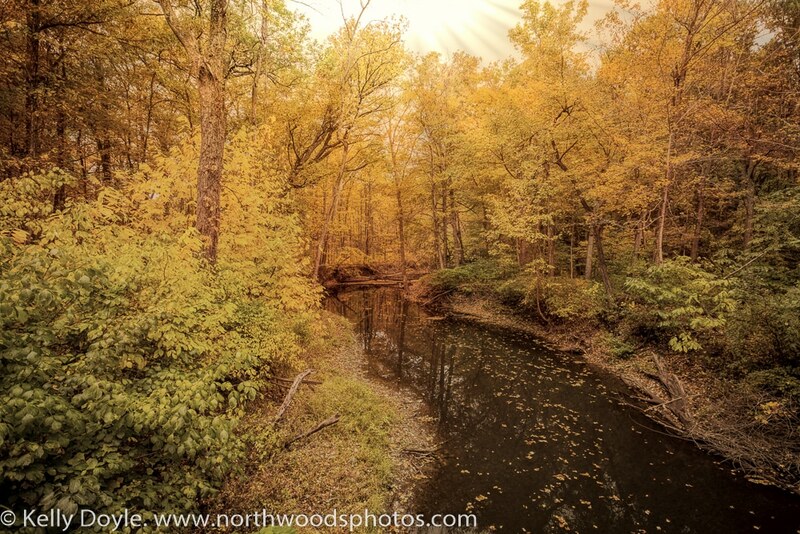 The Galien River flows right through Warren Woods. Another fun thing about living near one of the Great Lakes is that the weather can be completely different – and change very rapidly – compared to what it’s doing just a few miles away! By the end of this week, these trees will all be bare and will soon be covered by snow. Much more snow than they’ll get just a few miles inland. Good ‘ole lake effect. What’s your favorite Great Lake? 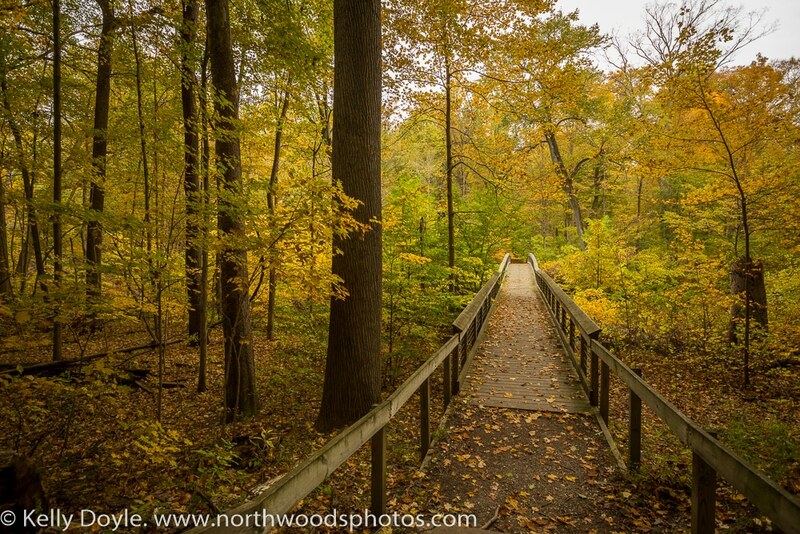 What’s your favorite trail to hike in the North Woods in autumn?